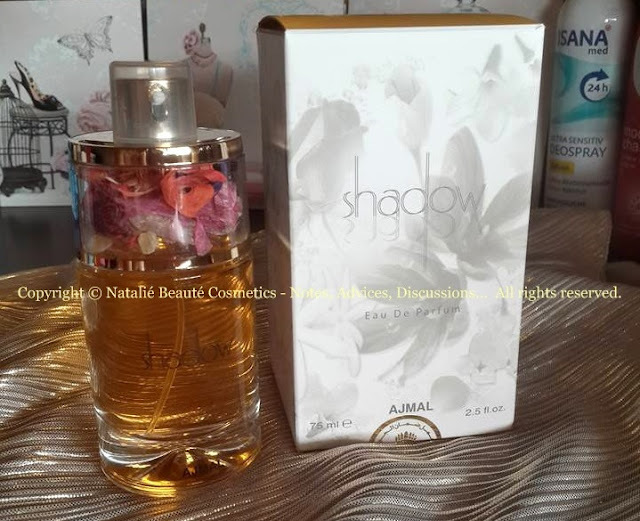 SHADOW II FOR HER is lovely fragrance for women, from PRESTIGE COLLECTION by AJMAL. 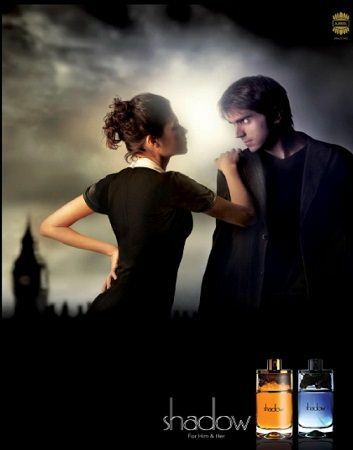 It's been launched in 2008 and it's one of the most popular perfumes of this perfume house worldwide. 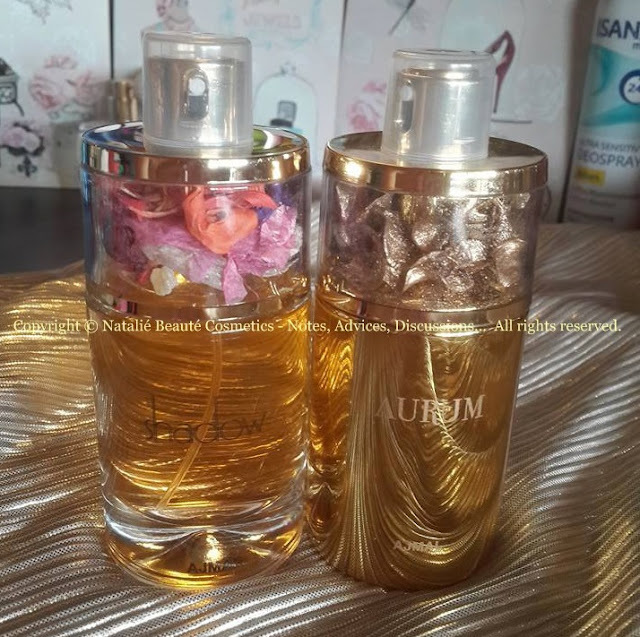 From the same collection, I've already reviewed AURUM. 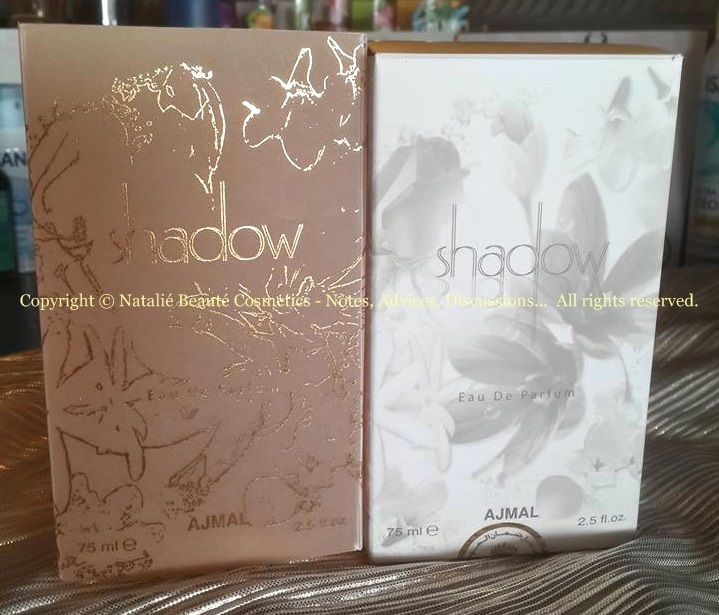 Ajmal perfumes are divided in 3 collections - SIGNATURE COLLECTION, PRESTIGE COLLECTION, CLASSIC COLLECTION. SHADOW II FOR HER, as well as AURUM, contains high percentage of oils in its composition, which really makes it precious creation (keeping in mind, how many natural oils are being replaced in the majority of the contemporary perfumes, with their chemical analogues). Sprayed in the cup, the oily drops stay there even after week. It's just big glass capsule, full of precious oils composition, just waiting to be splashed and brought to live in a touch with the fresh air and you. 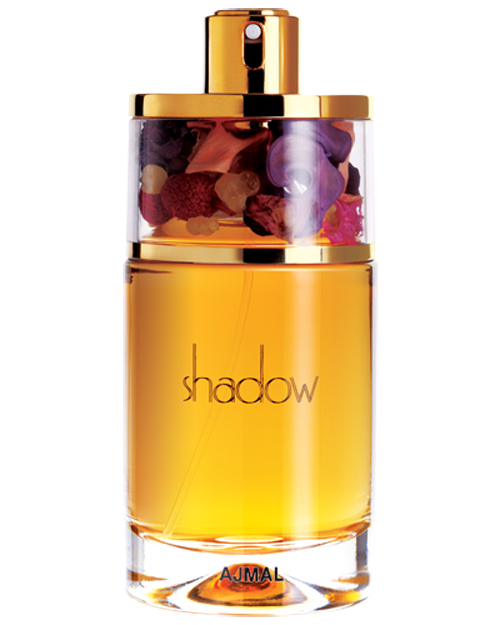 "‘Shadow for Her’ strikes a sparkling pose by opening in a voluptuous Floral scent of Rosewood, Lavender and Nectarine with a heart enriched by Patchouli and Orchid, gently drying down to a similar warm and Woody base of White Musk and White Amber." 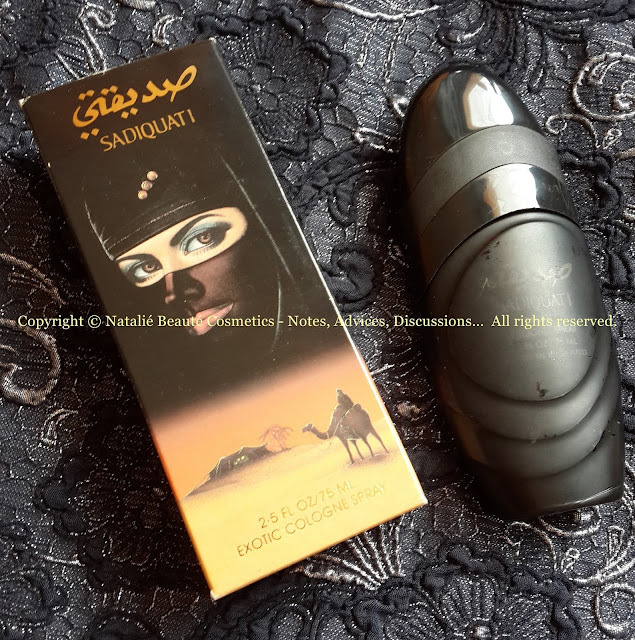 The perfume opens very fresh and juicy, but with a bit of sour taste, also. 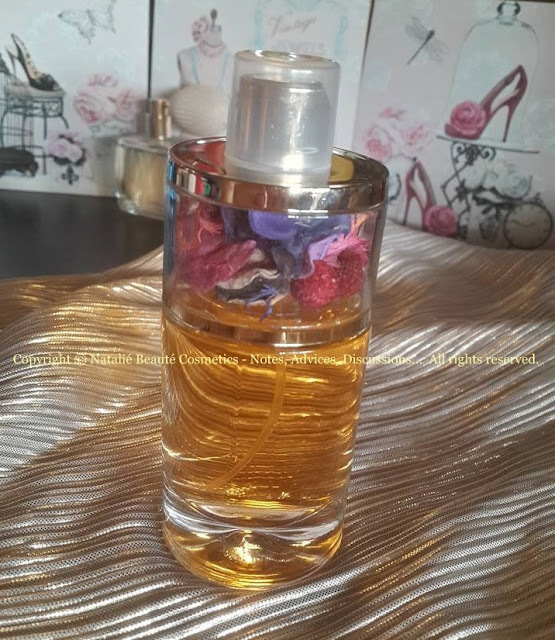 Immediately you feel the juicy Nectarine with the fresh cold Lavender notes and dry Rosewood. Soon, the scent settles down (the sweetness of the Nectarine fades away very quickly) to its Heart notes - the Orchid appears and joins to the other notes, Lavender and Rosewood, with hint of Patchouli. The Base is very calm and soft. 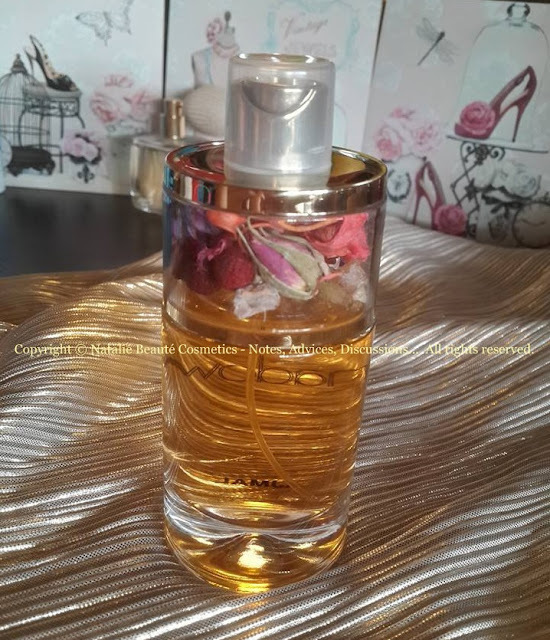 The perfume definitely has its own character and statement. 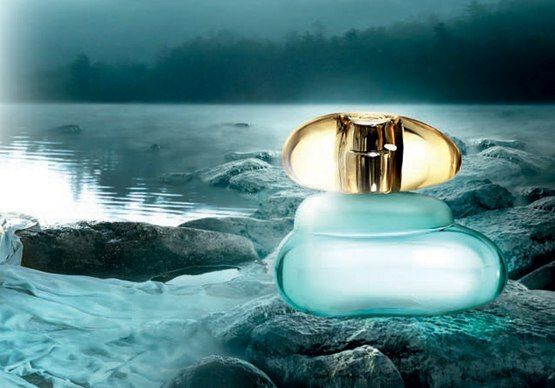 It can be perfect signature fragrance. Unique, beautiful, individual, sophisticated, enchanting, sensual. 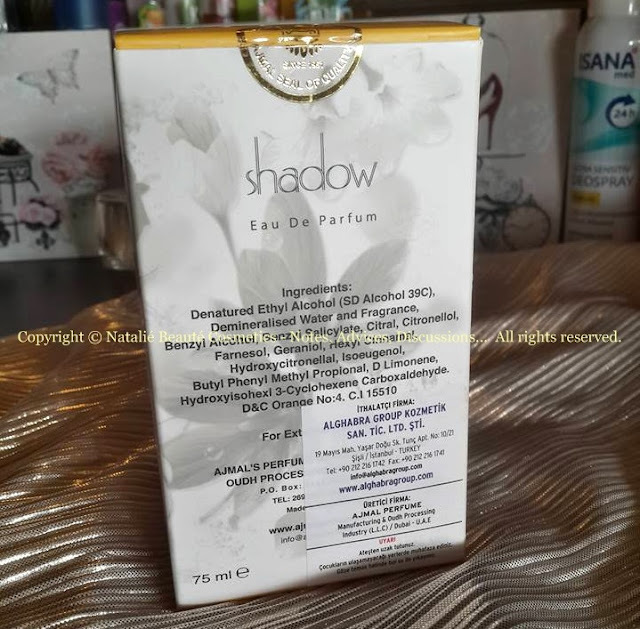 SHADOW II FOR HER reminds me very much one perfume - SADIQUATI, from LORENZO perfume collection, which I have since my teenage years. This perfume opens with very similar even same notes, but its scent gives much more sparkling and tickling feeling, like from the bubbles of freshly opened champagne. It's literally same, but it's one idea more sparkling and fresher. 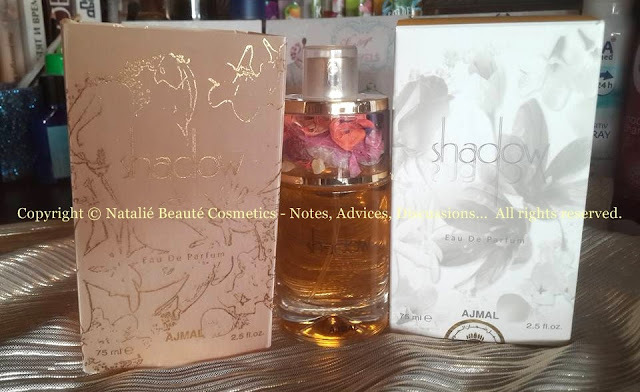 WHERE CAN YOU FIND AJMAL PERFUMES? 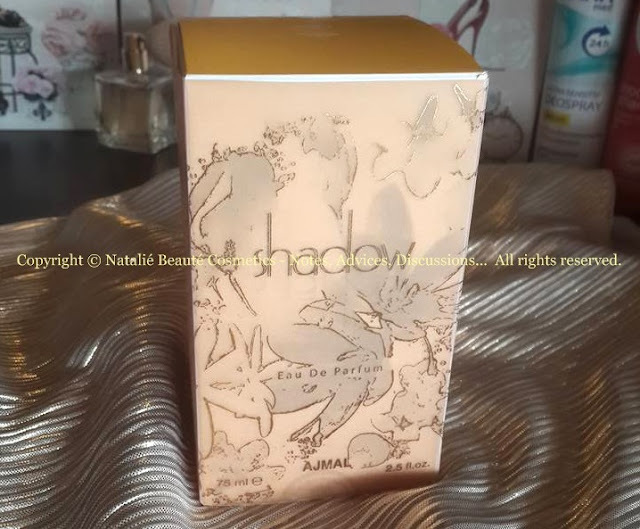 Perfumes can be bought directly from the Ajmal official web page's online shop. It's also available travel-retail, since 2016. More details here. 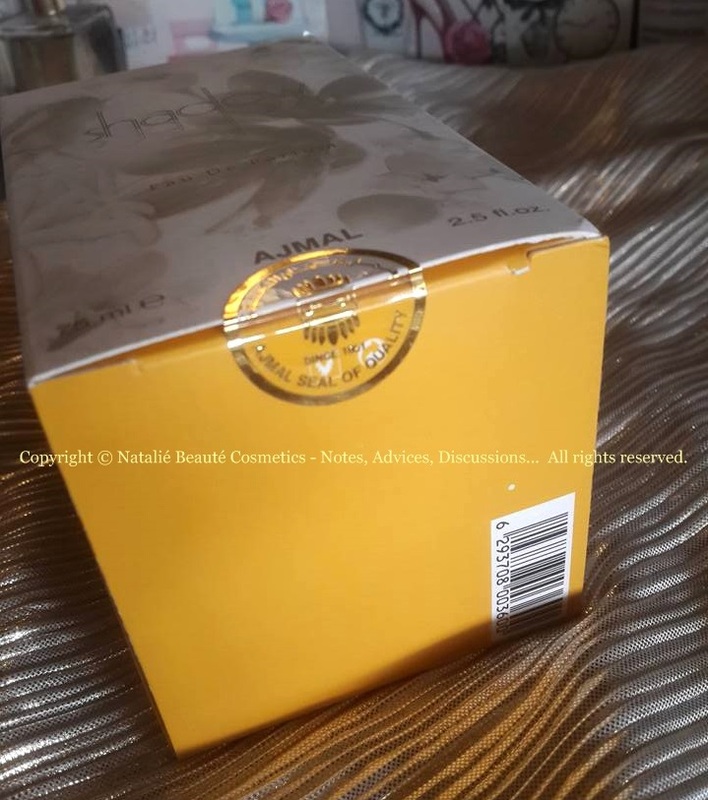 The product is sealed in nylon paper box. The box itself has pergament (semi-transparent) wrap with golden contour of the picture, on the paper box. The illusion is like for shadows. 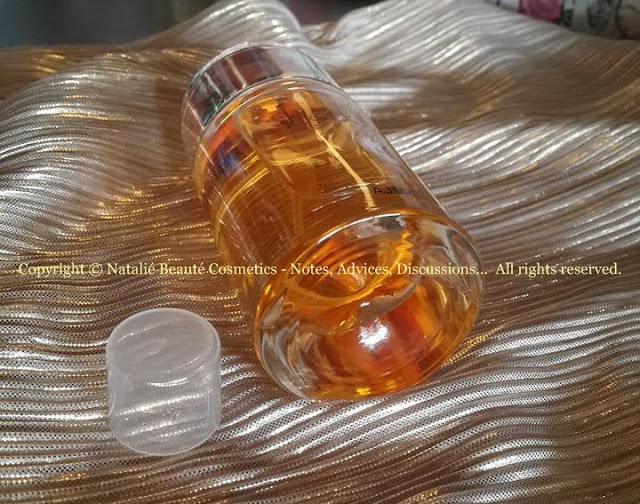 The bottle is made from transparent very massive colorless glass, spray, plastic cap. There is plastic ring around the neck, decorated with dry petals in different colors and resins. Amazing perfume for Ladies with define individuality. Long lasting, it plays on the skin and changes very noticeable, interacting perfectly, with your own body chemistry and environmental conditions. 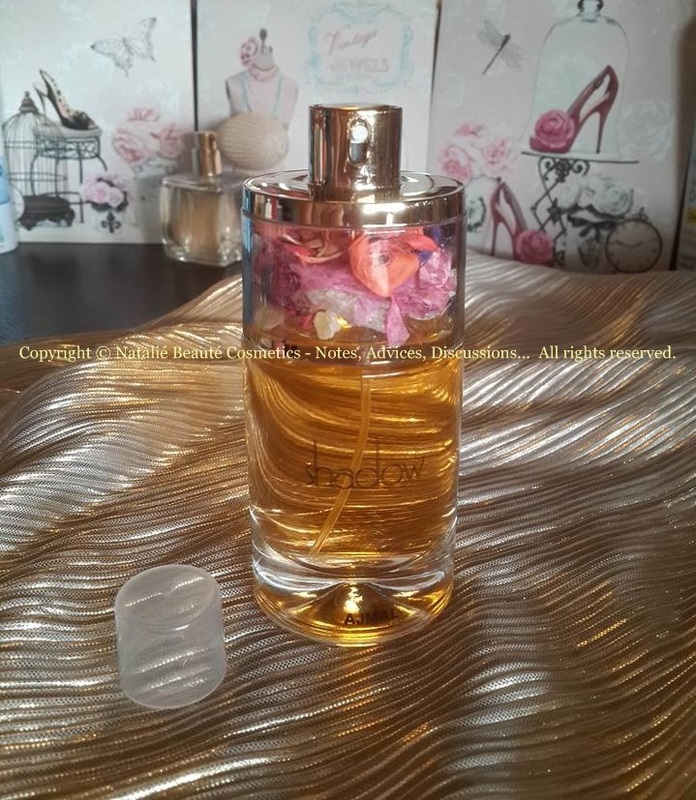 It's perfume for appreciators. You may need time to understand it and become friends. Just, give it a chance.